Sometimes, there’s too much stuff, not enough space. 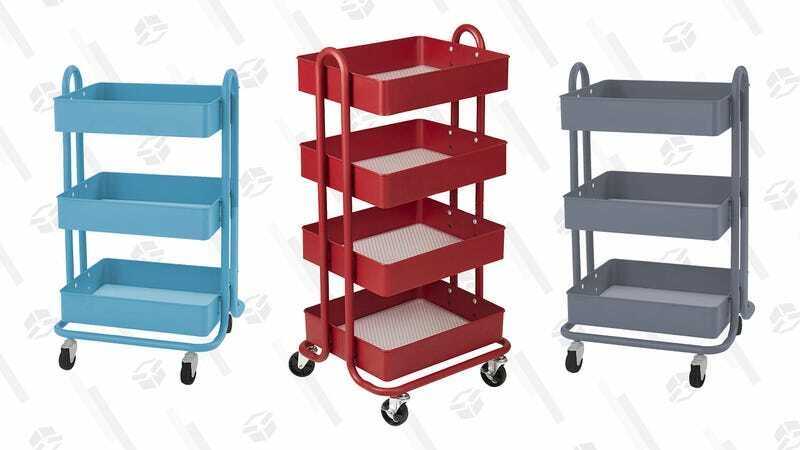 Keep all your odds and ends at bay with one of these tiered metal utility carts, now on sale in today’s Amazon Gold Box. 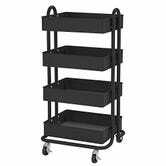 They come in a variety of colors, and two tier options: a three-tiered cart for $37, and a four-tiered cart for $45. But the price is well worth it when you consider just how many uses this thing has. I own something similar, and I use it to store overflow implements from my kitchen. But it could also be useful in a bathroom that lacks storage, a nursery, or a craft room. Or it could hold all your garden tools, or be used as a makeshift bar cart. 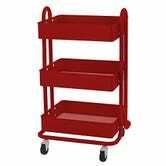 While the possibilities for this cart may be endless, this sale is not; these discounts will roll away by tomorrow, so cart off with your own cart today.